Welcome to the website of Mereway Badminton Club. We are a friendly and well organised club which is always open to new members, and we are happy to welcome people of all ages to join us in playing this exciting sport. As well as offering an enjoyable playing environment at excellent facilities in Wootton, our members also have the opportunity for competitive play through participation in one of the 5 teams that we have playing in the Northampton league. We also have a thriving junior badminton club, which is run by helpful qualified coaches, offering great playing and coaching opportunities for 8 to 17 year olds in Northampton. As the skills of our young players improve, they are given the opportunity to participate in the senior section where they can further develop their game, with some even playing in team matches. We have tried to make our website informative and easy to use. 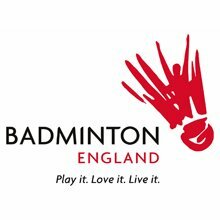 Please use the menu at the top of the page to navigate around all the different areas of the site and find out more about us, our junior club, or about the sport of badminton in general. You can also read the latest news, or contact us for more information if you’re interested in playing this exciting sport in Northampton. Affiliation with the official governing body in England for our sport means that all of our members enjoy a range of useful benefits which include member discounts on equipment and event tickets, a magazine subscription and civil liability insurance whilst playing. Our Premier status and Club Mark reflect our committment to providing a quality, safe environment for young people of Northampton to develop in the sport.